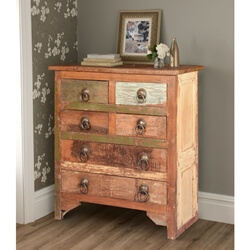 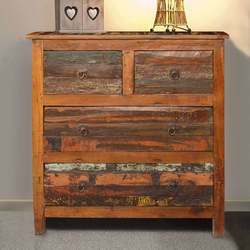 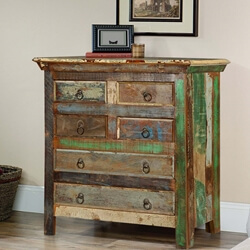 Our Jamestown Rustic Reclaimed Wood 5 Drawer Cottage Dresser is sure to bring all of the storage and decoration you require to your bedroom spaces. 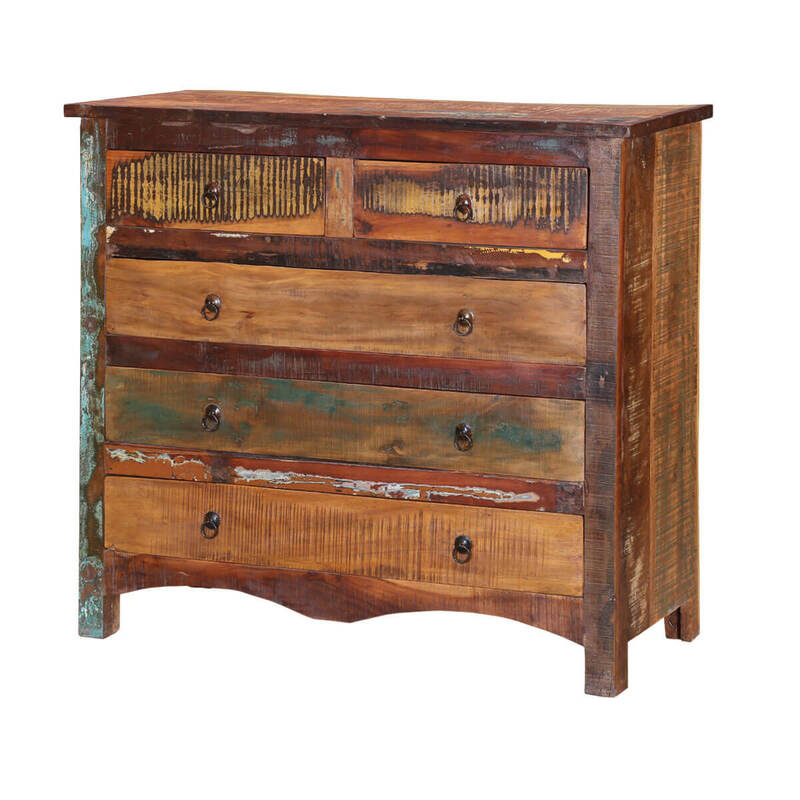 The piece is perfectly perched in the master suite for extra clothing storage or placed in the guest room for your visitor’s clothing. 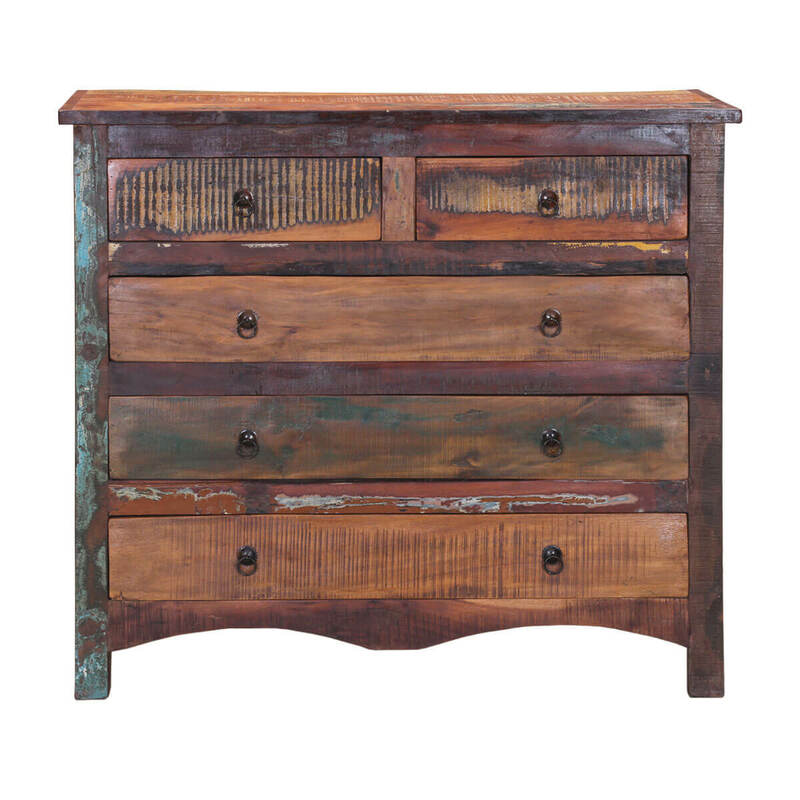 It has a distinct traditional styling with a decoratively shaped apron at the base and hand-wrought pulls. 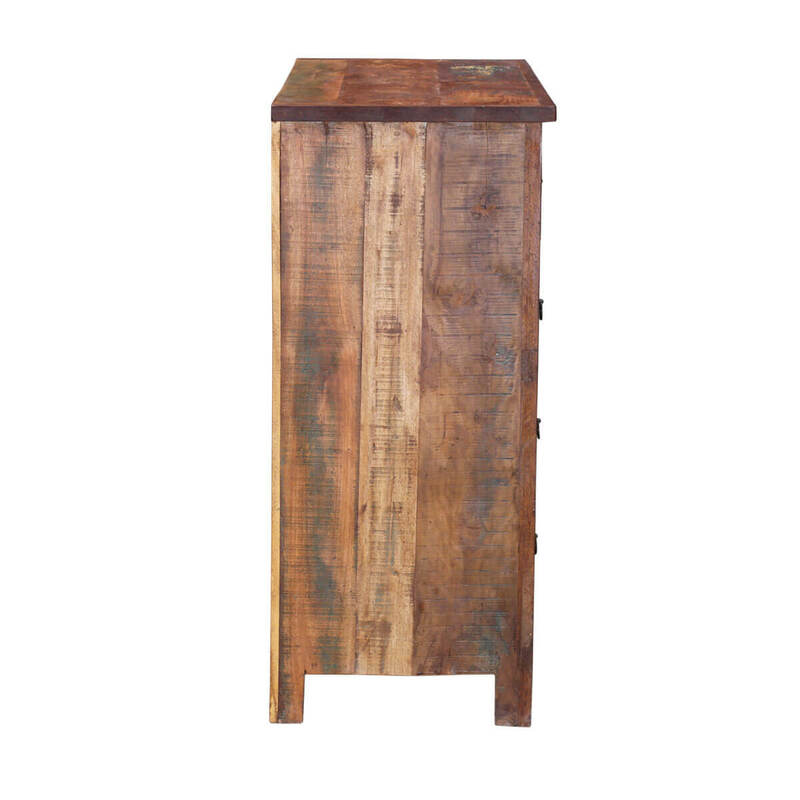 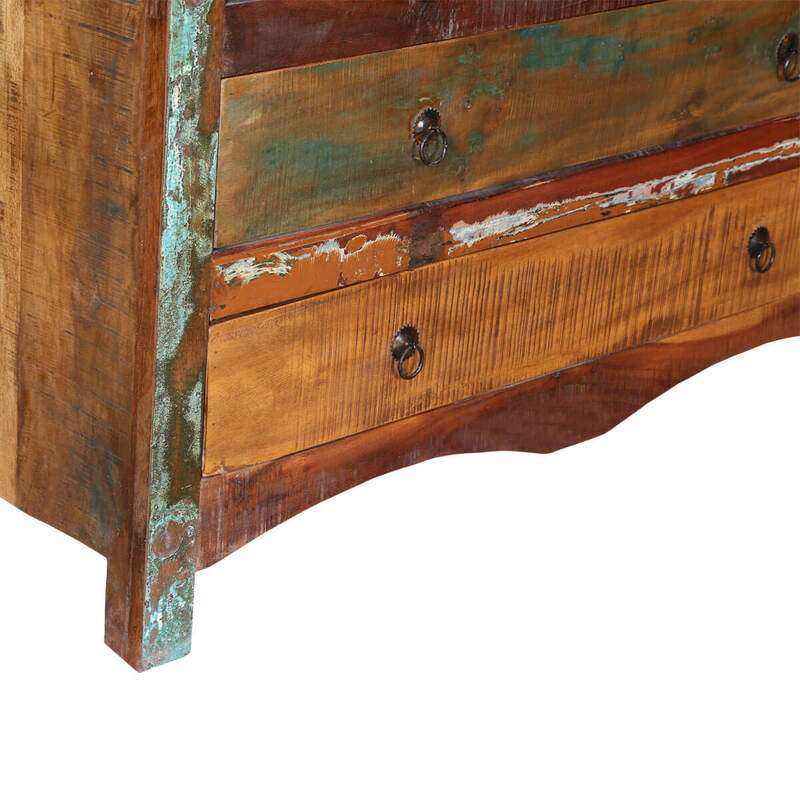 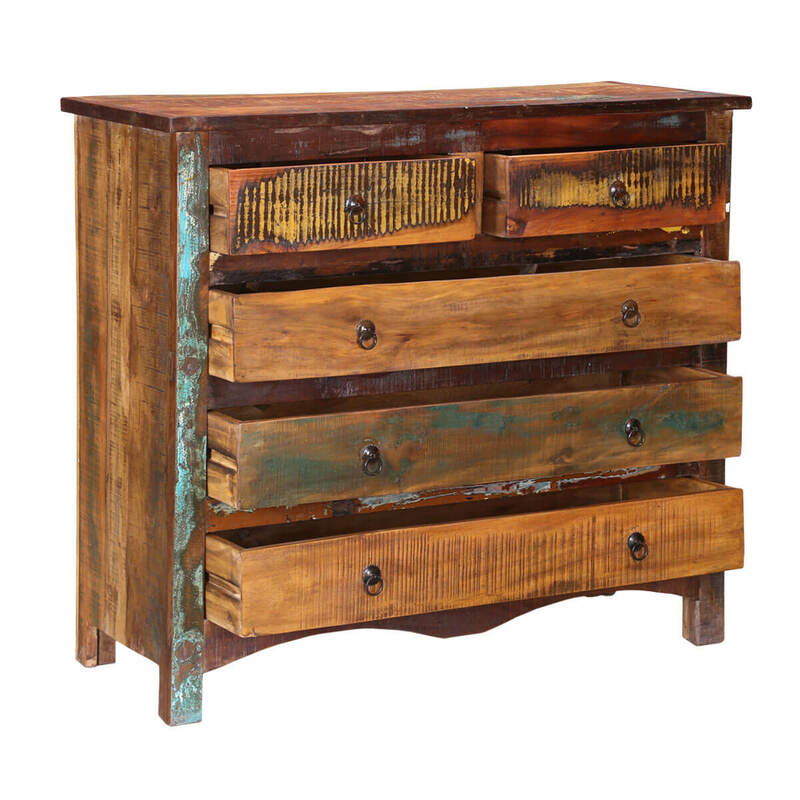 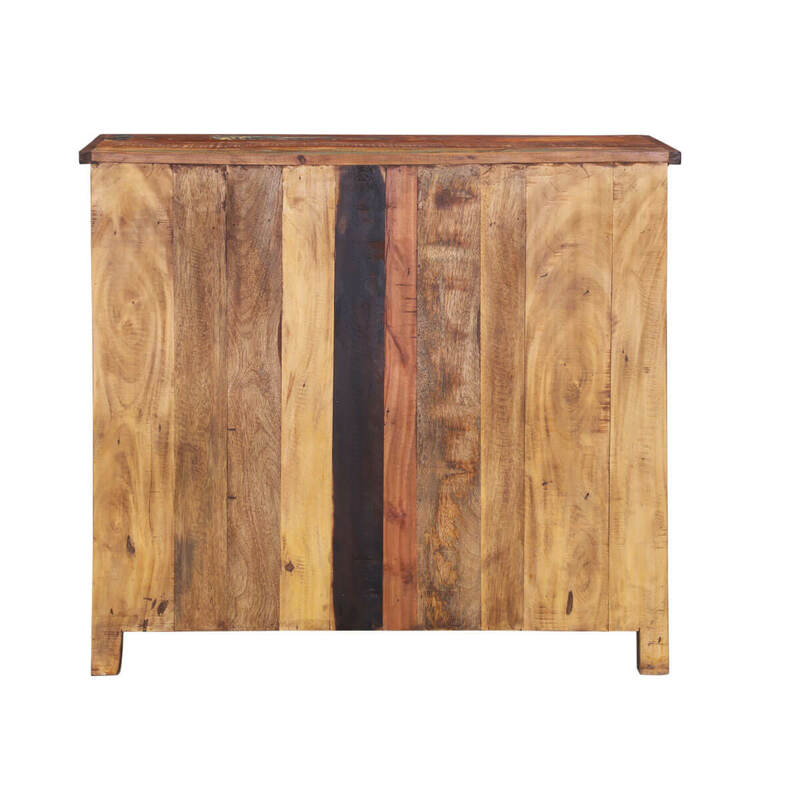 Each of our reclaimed wood dressers is hand-constructed from salvaged hardwoods highlighted with weathered texture and sanded texture. 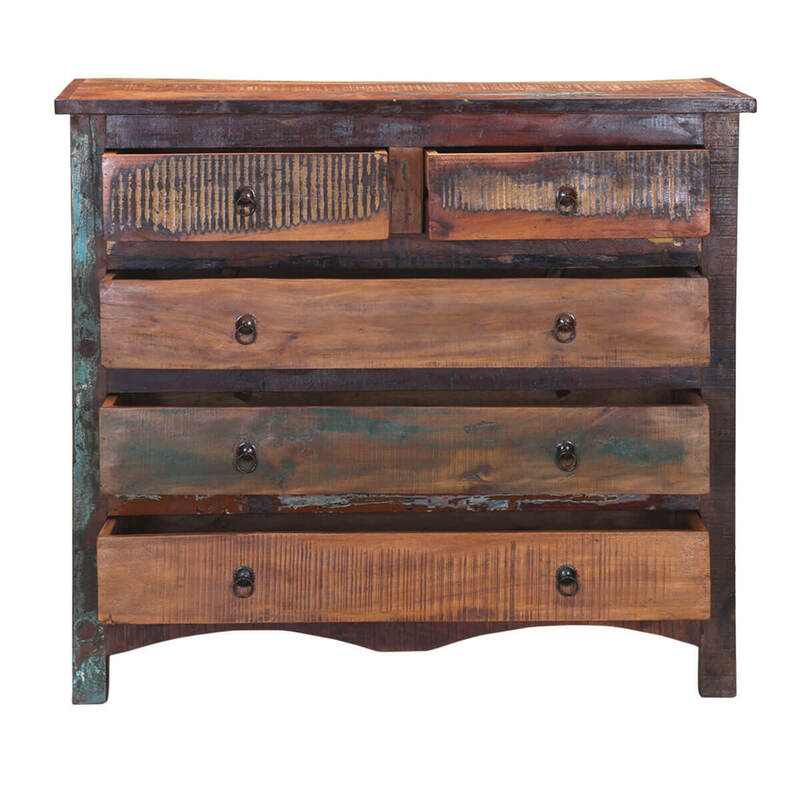 Three wide bottom drawers make a stylish spot to tuck away clothing or personal items. 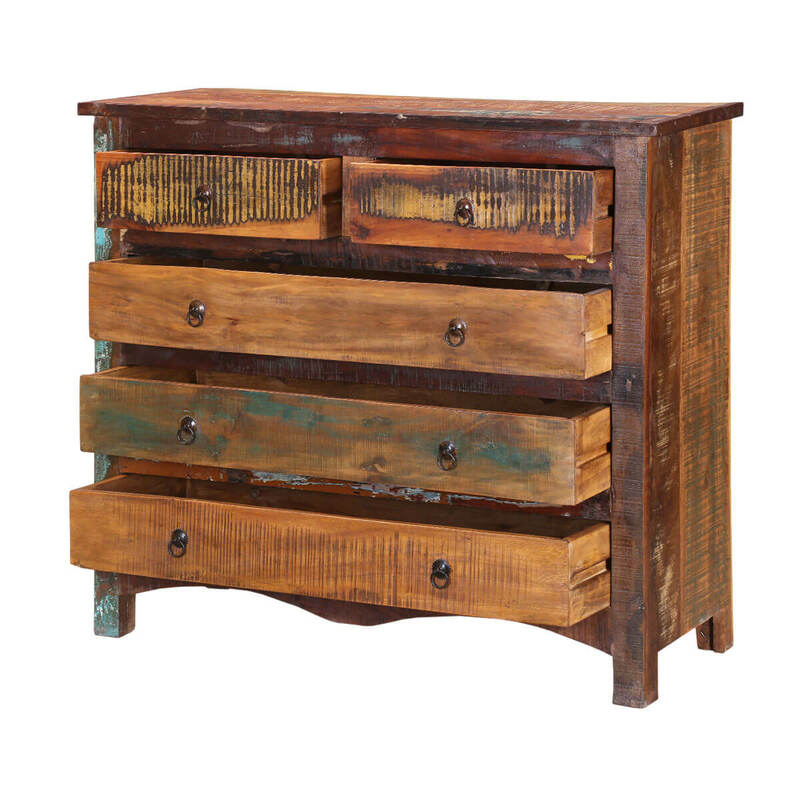 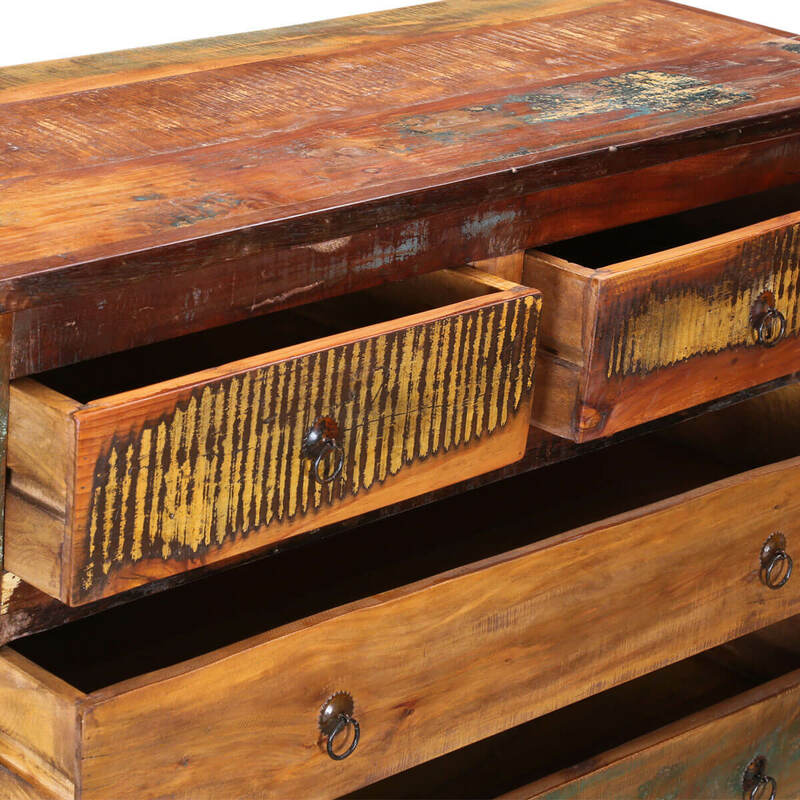 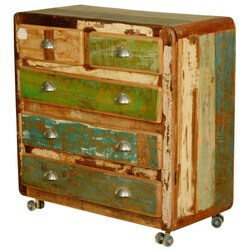 Two top drawers are large enough to tuck away jewelry or important documents. 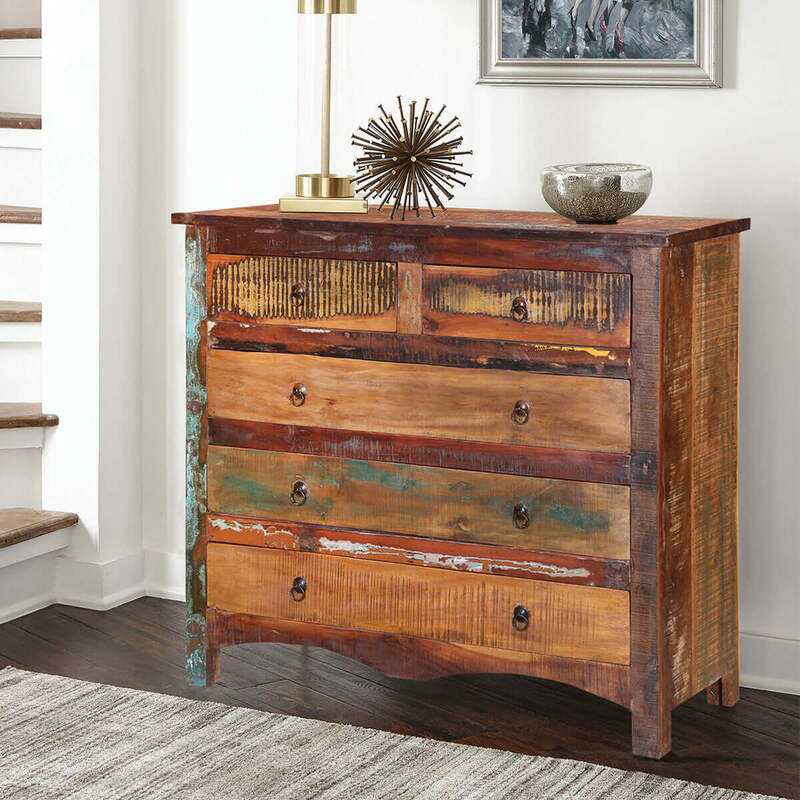 The piece’s top surface is wide enough to hold a pair of slender lamps and decorative items such as ceramics, jewelry box or object d’arts.